February 28, 2011, 1705H- The Senior Engineer on-duty , observed the oil trace on the head of phase B of 115kV current transformer while doing his daily routine inspection. The Senior engineer turned-over his observation to the incoming shift for further verification. Visual inspection conducted by other engineers did not yield any oil traces on the current transformer porcelain bushing nor did they see drops of oil leak coming from the current transformer head. They observed only an oil trace where they monitored for the next seven days and the oil trace did not increase in area or progressed into a critical oil leak. 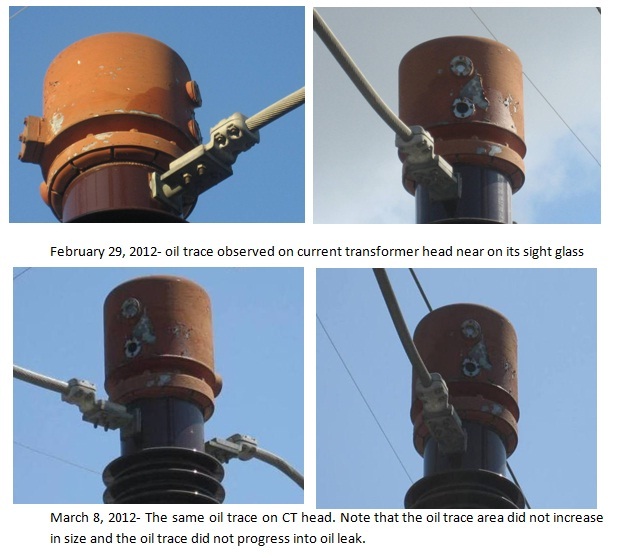 The observed oil trace on Phase B of the 115kV current transformer head near its sight glass may be caused by loose bolt on sight glass case which could have loosened up over time. It can also be caused by micro crack on the O-ring or gasket at the sight glass on which oil has finally penetrated after more than 15 years. 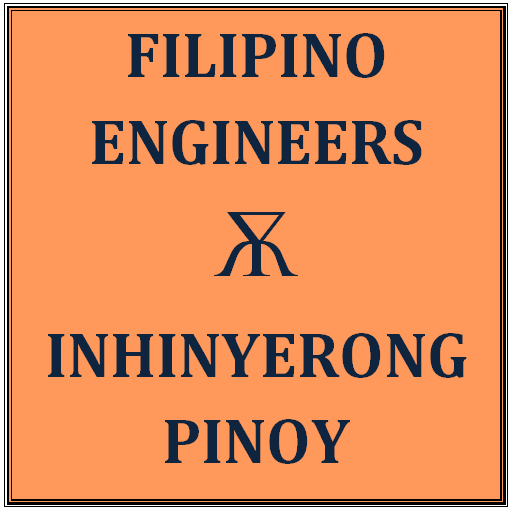 The current transformer is a conventional type CT in which the secondary terminals are located on its base hence, the volume of its oil is concentrated at the bottom of the current transformer. The oil level at the sight glass is still on its normal level. There is no sign that the leak has oil drops on the equipment and on the ground and it is purely characterized as minor oil trace on the CT head itself therefore we conclude that the leak is not serious enough to cause equipment failure and tripping. 1. For constant monitoring of the oil trace if becomes progressive until the next shutdown. 2. Cleaning and thorough inspection of the equipment will be conducted on the next annual preventive maintenance and testing of the equipment.